Learning about history, visual and performing arts, and literature can help physicians develop empathy and professionalism—skills that will lead to deeper connections with patients. An art museum isn’t traditionally associated with medical school. 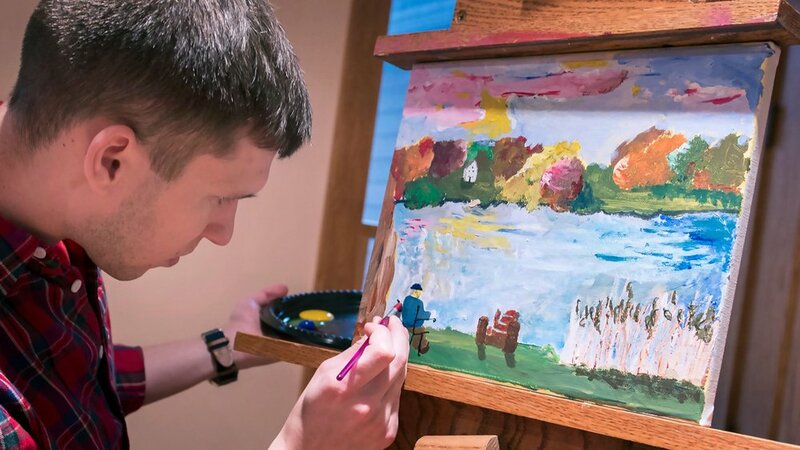 But several medical schools are offering courses that give students a chance to refine their observation skills, and in turn their diagnostic skills, by studying visual art. A diverse group of thought leaders had a taste of how art can help students develop clinical skills at a recent forum, hosted by the AAMC, focused on evaluating the current landscape of the arts and humanities across the continuum of medical education. The attendees spent several minutes examining an image of a painting, followed by a spirited discussion about their very different observations. As people shared their thoughts, others reflected on their own ideas and looked at the painting from a new perspective. As science and medicine continually change, there has been a growing recognition that studying the arts and humanities may help learners develop qualities such as professionalism, self-awareness, and communication skills that are increasingly important for physicians. The participants also discussed a strategic path forward to integrating arts and humanities into medical education curricula. The forum, held July 12, 2017, was hosted in partnership with the National Endowment for the Humanities. The 25 attendees included medical educators and others from the humanities and arts who have incorporated these topics into medical education. “At the AAMC, we are looking to build a case to medical educators that this is integral to what we do,” said AAMC President and CEO Darrell G. Kirch, MD. According to the AAMC Curriculum Inventory and Reports, during the 2015–2016 year, 119 medical schools required humanities education. 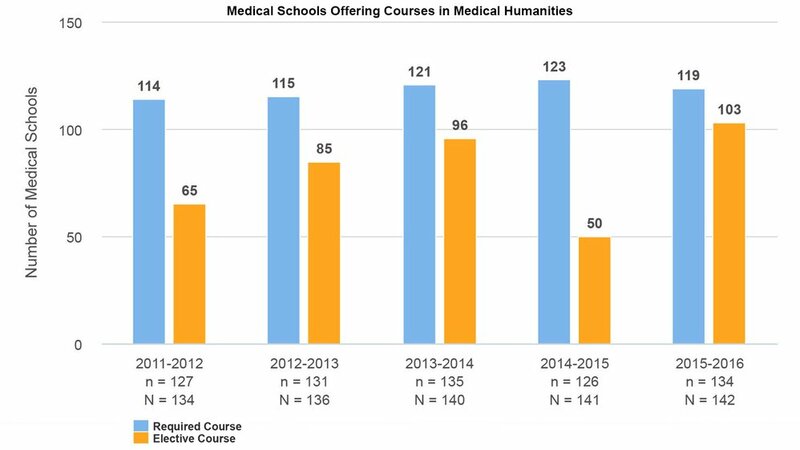 While there has been growth in humanities curricula, there has not been a “deep, sustained, foundational, across-the-board incorporation into all medical schools,” said Alison Whelan, MD, AAMC chief medical education officer. Bringing the humanities and arts into medical education is one way to help students form deeper connections with patients, maintain joy in medicine, and develop empathy and resiliency. These “are all core areas for physicians, and all of these are anchored in the arts and humanities,” said Lisa Howley, PhD, AAMC senior director of strategic initiatives and partnerships. Howley added that leaders across academic medicine are enthusiastic about efforts to incorporate these topics into medical education and that it was challenging to “limit number of experiences we were able to showcase” at the forum. “There is a lot of passion and work going on in this arena,” she added. Jeremy Greene, MD, PhD, chair of the History of Medicine Department at the Johns Hopkins University School of Medicine, described how knowledge of history can enhance understanding of current medical events. It was history, Greene said, that helped physicians and the public make sense of the 2014 Ebola epidemic by comparing it with the Black Death, the cholera epidemic in the 19th century, and the flu pandemic that followed World War I. “Our ability to understand the terrifying local, regional, and global dimensions of the recent Ebola epidemic ... is inseparable from our [understanding] of past events,” said Greene, also a professor of medicine and the history of medicine at Johns Hopkins. The forum featured a gallery walk in which participants rotated through five exhibits that provided a sampling of how medical schools are incorporating curricula in history, literature and poetry, narrative medicine, and the visual and performing arts. In small group discussions, participants considered how arts and humanities can address issues such as burnout and foster professional development, empathetic communication, and resilience. In several demonstrations, participants shared how they have brought arts and humanities into medical education at their institutions. After the visual arts activity, Joel Katz, MD, a professor at Harvard Medical School, and Alexa Miller, MA, founder of Arts Practica and a consultant on arts curricula, discussed how studying the visual arts can help learners develop the skills to perform physical exams and enhance critical thinking and collaboration skills. In a 2008 study in the Journal of General Internal Medicine, Katz and Miller, along with other colleagues, reported that students’ ability to make accurate observations increased by 38% after taking a visual arts class. Johanna Rian, PhD, program director at the Mayo Clinic Center for Humanities in Medicine, showed how practicing improv theater can help students learn to think on their feet and prepare for unexpected conversations. Finally, a writing activity led by Rita Charon, MD, PhD, executive director of the narrative medicine program at Columbia University and a professor of medicine at Columbia University College of Physicians and Surgeons, highlighted how writing can help physicians absorb and interpret what their patients are experiencing. Thank you to the National Endowment for the Humanities for their support. Any views, findings, conclusions, or recommendations expressed in this article do not necessarily represent those of the National Endowment for the Humanities. Anesthesiologist Carol Cassella, MD, discusses how practicing medicine has helped her write three best-selling novels. Join your colleagues in Boston from November 3–7 for the AAMC’s signature learning and networking event.